ISLAMABAD: Chief of Army Staff (COAS) General Qamar Javed Bajwa conveyed his condolence over the death of US senator John McCain, a statement released by the Inter-Services Public Relations (ISPR) said on Monday. “McCain was a distinguished war veteran and an accomplished representative of his country. A friend of Pakistan who believed in great potential of Pak-US relations for common good of both countries,” said Bajwa, according to the statement. COAS conveys condolences to bereaved family of deceased Sen. John McCain. “McCain was a distinguished war veteran and an accomplished representative of his country. A friend of Pakistan who believed in great potential of Pak-US relations for common good of both countries”, COAS. Foreign Minister Shah Mahmood Qureshi on Sunday also expressed condolences over the death of John McCain. “Thoughts and prayers of the people of Pakistan are with the family and friends of Senator McCain,” a Foreign Office statement read. “As Chairman of the Armed Services Committee, Senator McCain always stood for strong Pakistan-US relations and a cooperative approach for promoting peace and building stability in the region. He will be greatly missed in Pakistan,” the statement added. 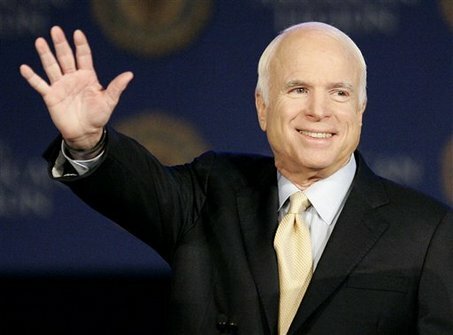 The US senator from Arizona died on Saturday night at the age of 81 after fighting against brain cancer since July last year.